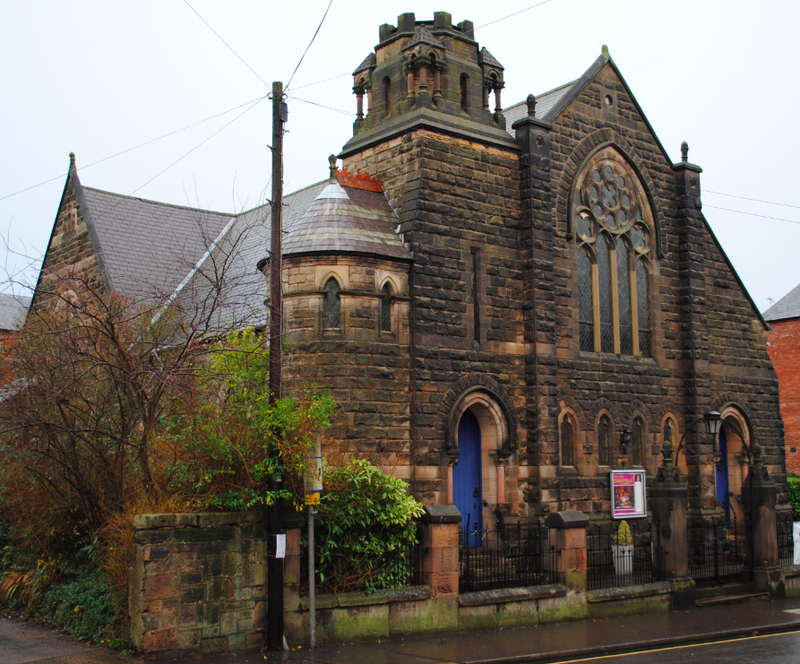 One of five churches in the market town of Melbourne in Derbyshire, the Methodist church was founded in 1870. The building is constructed of rock ashlar and features mullioned tracery windows and pointed arched doorways with corinthian columns. The church replaced an older chapel next door which was converted into a Sunday school.